We have used Raman spectroscopy for many years for research purposes and especially for testing synthetic and treated diamonds, in agreement with Complutense University of Madrid, UNED University and other state scientific centers where large research grade Raman spectrometers were available. GemmoRaman-532 equipment was first presented to us during the International Gemmological Congress organized by IGE in January 2014. Knowing well about the huge possibilities of this technique in the field of gemmology, we were really pleased to see first portable and economic Raman-PL spectrometer oriented specifically to our field. • Very high quality spectrometers in both units that provides very good spectra, with high signal-to-noise/ratio and high definition, using very short exposure times. • Very well selected range for analysis that allows the unit to register not only Raman fingerprint area but also photoluminescence spectra, and with high resolution suitable for both gem identification and research aims. • Original design of the equipment that makes easy the analysis of gem materials of different sizes, cut (even rough, cabochons or carving) and mounted. • Portable size of the spectrometer allows to easily use it for expertise in jewelry shows, museums, etc. • Possibility of working with liquid nitrogen for samples cooling, especially important for identification of synthetic and treated diamonds by photoluminescence spectroscopy. • Spectacular work on specially developed software for acquisition, analysis and presentation of spectra that makes possible the use of equipment by both highly prepared specialists and not specially qualified users. • Carefully selected database of comparison gem samples for automatic identification of gem materials, also with possibility of using external databases like RUFF, with just two mouse clicks. • State-of-art investigation work performed by MAGI staff to elaborate special “application notes” for particular gemmological tasks, published on their site and in leading gemmological magazines. • Total availability of MAGI staff to solve all clients’ doubts related to the equipment and their continuing effort to expand the reference database and improve the software, free of charge to the users. Finally, having the opportunity to compare both Regular and Scientific Grade GemmoRaman-532 units in our Institute, we would like to mention that while SG unit provides more possibilities for research tasks, especially related to synthetic and treated diamonds, the Regular unit gives spectacular results for gem identification and some applications for synthetic and treated materials and it will be effective for the majority of gemmologists and jewelers. 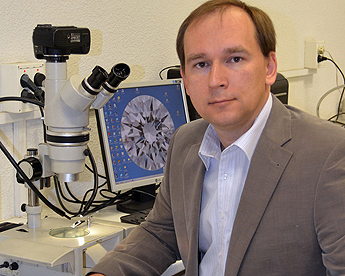 President of Scientific Committee and Director of the Gem Testing Laboratory of the Spanish Gemological Institute. 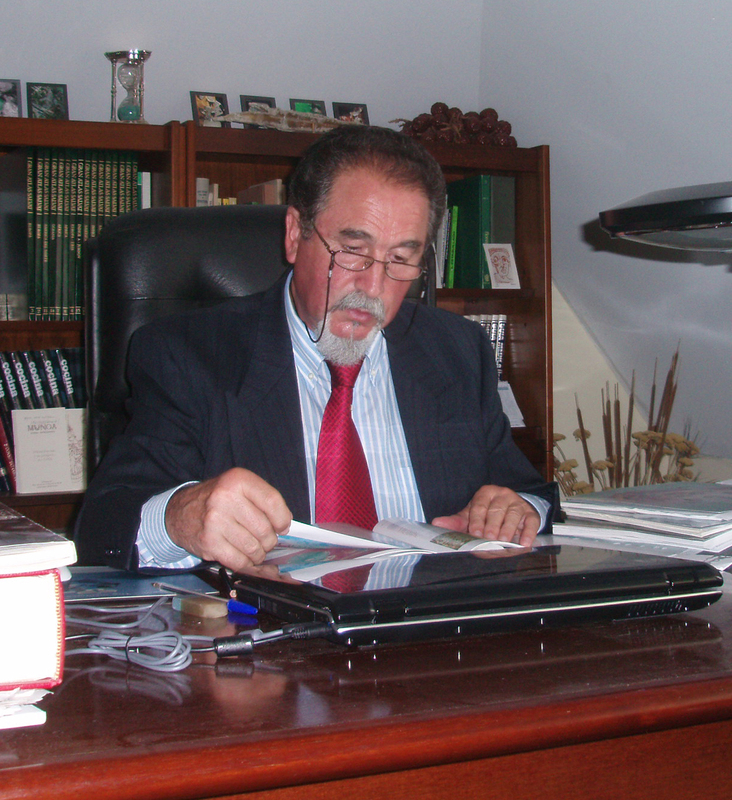 PhD in Geology, Director of Education of the Spanish Gemological Institute, Vice-Chairman of the Federation for European Education in Gemmology. Since 2007 IGE also forms part of the new entity IGE&Minas, joint venture with Gomez Pardo Foundation belonging to Madrid School of Mines and Energy of Madrid Politechnical University. IGE Gem Testing Laboratory was founded in 1969 and currently it is the most prestigious center for quality control and research of precious stones in Spain, recognized by the Madrid Chamber of Commerce and Industry. Equipped with most advanced analytic techniques and highly qualified staff, it offers quality control and analysis of gemstones to firms and particulars on a regular basis. Aside from thousands of gems used for teaching proposes, IGE also has a large collection of unique gems, permanently exposed in the Don Felipe de Borbón y Grecia Museum of Madrid School of Mines. MAGI is a result of co-operation project between two gemologists, Mikko Åström FGA and Alberto Scarani GG. The project began in 2011 when it was found combination of experience between the two allowed designing & building worlds first fully automatic gem material identification system. MAGI - M&A Gemological Instruments Ltd.